Over the past few months, I’ve been drafting a new YA novel titled “Wildfire Girls” about–you guessed it–WILDFIRES and a gang of powerless/powerful girls that start them. And so, when the Santa Barbara mountains burst into apocalyptic flames again this summer, I felt my inspiration following suit. I’ve been furiously drafting, and now I’m closing in on the last few chapters. My writing has always been grounded in place. My last two manuscripts were set in San Francisco–no big surprise, since the kid version of myself meandered the Mission long before the hipsters grew out their man buns. I love novels that are filled with sharp sensory details, and I find that my strongest writing is so much about place and the crazy cast of characters that find themselves there. I’m sorry to see acres of dry drought land burning in the Whittier Fire, and firefighters risking their lives to protect our precarious city by the sea. I’m sorry to find the ash of oak trees on the hood of my car, and the evacuation notices that ring out on the radio. BUT, the best I can do is write and keep writing and let the inspiration of this place carry my story forward. When I showed up at the SCBWI LA Writer’s Day 2016 conference, my biggest worry was beating Los Angeles traffic in time to catch a seat and a sip of coffee before the editors, authors, and agents began their talk. 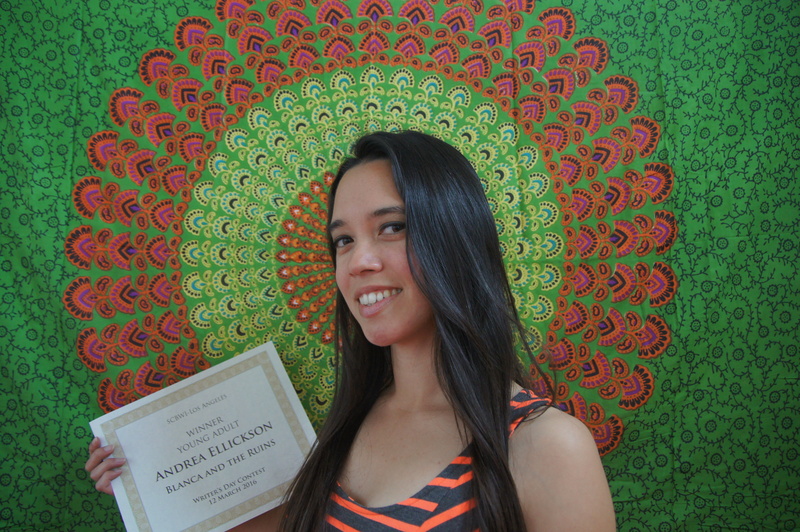 I had no idea I’d win an award for my YA work-in-progress titled Blanca and the Ruins! Fortunately, I was decked out in my orange stripy dress (now forever my lucky dress) and cowboy boots when they called me on stage. Of course, they didn’t announce my name first. Instead they led with my story, and all I could think while I was sitting in the audience was–oh my god–I hope that’s mine! Very surreal moment. Thank you SCBWI for this amazing opportunity! 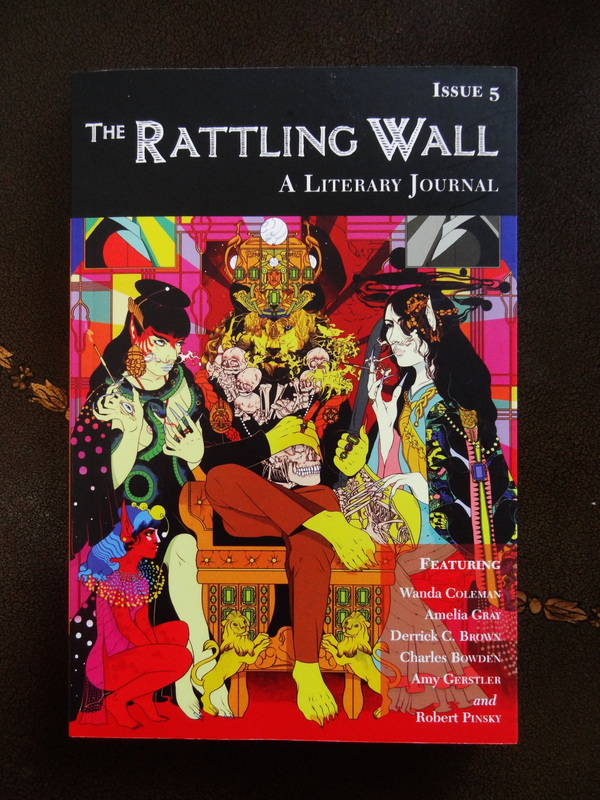 Also, I won a copy of The Rattling Wall, an LA based literary journal with gorgeous gruesome cover art by Kristina Collantes. (Did I mention lucky orange dress?) Can’t wait to crack open the pages!